Isabella Fiore is design company founded in California by Jennifer Tash. 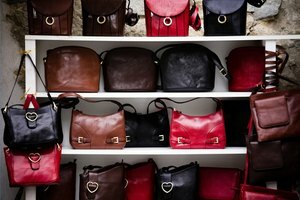 It is famous for it's handbag collections, combining functionality with high fashion and unique styles. The bags usually cost between $300 and $500, which is one reason why fakes abound. These can be sold in markets, in boutiques or online, and vary from bad imitations to almost identical copies, which makes spotting the fakes much harder. However, there are a few ways to tell the difference between the real bags and the fakes. Look at the real collections. 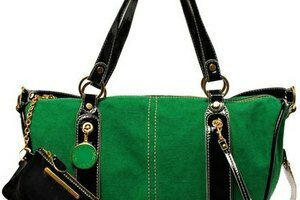 Isabella Fiore bags are made of high-quality materials, and are usually clutch, hobo or tote styles. 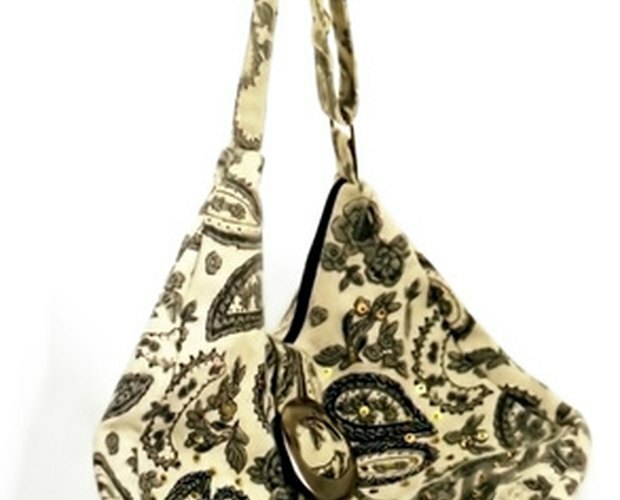 Each handbag is part of a collection of similar bags and accessories, which are usually viewable online. Most of the bags are neutral in color, although there are some brightly colored bags. Investigate the seller. Isabella Fiore sells online through the company's Web shop and in some high-name boutiques. They are not usually available on markets, or in supermarkets or small local shops. Check the price. If the bag is legit, it will cost about the same as it does online. Shops may offer a small discount, but if you find one for much cheaper, it is unlikely to be legitimate. Examine the Isabella Fiore logo. This is usually a rectangle with "Isabella Fiore" engraved on it, located on the outside of the bag and on the inside, just above the pocket. If this logo looks different or usual, or is missing, the bag is unlikely to be real. Check the durability. Look at the stitching, and any zips or fastenings. These should be good quality and functional. If anything looks uneven, broken or damaged, the bag is unlikely to be real. If you are unsure about a bag or vendor, contact Isabella Fiore, who should confirm or deny if they supply that venue.